The Upbeat Dad! : Valentine’s Day Wishes! Valentine’s Day is upon us again. Lovers all over the world pause to share special thoughts and words on this special day. 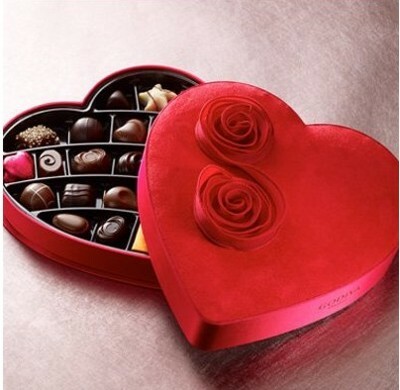 Whether it’s with a box of chocolates or flowers or something else, love is being expressed in various ways today. How wonderful it is when the one you love loves you back. It really does make life worth living doesn’t it? There’s an expression that says, “It’s better to have loved and lost than to never have loved at all.” Having loved and lost a time or two in my life, I can say that that statement is probably true. But it’s even better when you love and keep the love instead of losing it. In my wife, I really believe that I’ve found the love of a lifetime. She’s a love I’ve found even though I wasn’t even looking for her but as I explained in the post The Story of My Blended Family, we found each other and this is a love affair that I just know will stand the test of time. As I think on all that’s special about Valentine’s Day, I must also pause and think about those who have loved and lost, especially when there are kids involved. Valentine’s Day probably conjures up some emotions that are hard to explain. Many have to see the various advertisements on TV about the day set aside for lovers while they themselves nurse their broken hearts. That’s not easy by any means. I have heard an expression that says, “The one who loves feels the pain.” Isn’t that true? When your heart is vested in a relationship and it ends, it makes it so tough to deal with. When you’ve checked out mentally and emotionally, the ending of a relationship isn’t quite as harsh. Only when your heart is into it do you really suffer pain. If you count yourself among those that are hurting during this time of the year set aside for lovers, don’t worry. Life gets better in time. Sometimes you have to experience a bit of turbulence in relationships in order to appreciate the special one that awaits you. 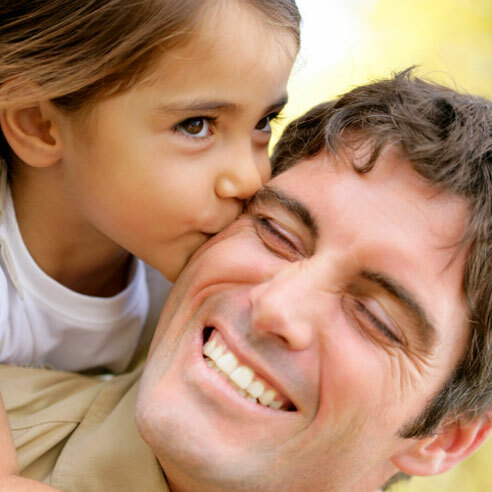 I have shared in many posts, including The Story Behind the Upbeat Dad, that I experienced a divorce several years ago. I remember I even had a divorce court hearing on Valentine’s Day – how painful is that? Yep, it was like torture to me. What a cruel joke it seemed – only thing, it was no laughing matter. But you know what, I reflect on those days with a smile because here I am today, married to the woman of my dreams. And I have two wonderful kids – a 12 year old from my first marriage and a 6 month old from my new marriage. My wife is my heart and my all. I didn’t like the negative experience that I went through so long ago but had I not gone through it, I don’t think I’d quite appreciate her the way that I do now. One of the things that I said before I met my wife was that whoever I was to get married to, I hope that she experienced a disappointing relationship before so that she would cherish and adore our relationship. And that’s certainly what’s occurred. My wife was never previously married but she’s had a disappointment or two with past relationships. When we got together, I think that each of us was ready to work at it to ensure that we never hurt each other and cause each other pain. We both know what it’s like to deal with the after-effects of relationships gone bad so we’ve been determined never to walk down that road. Do we have the perfect marriage? Are we living a fairy tale “happily ever after” life? I wouldn’t say that. However, we’re both convinced that in each other, we have found our soulmate – the one we’re destined to walk through life with. So though neither of us is perfect, I think that we’re the perfect match for each other. As you celebrate Valentine’s Day, enjoy every moment of it. You deserve joy and happiness in every way. Life is not all a bed of roses so if you’ve found that special someone, treasure him or her today. Have a blessed and wonderful time sharing your love with one another. And if you’re not in a relationship at this point, just celebrate life and the gift that it is. You can be happy and enjoy the good that there is in this life without being in love with someone. Be in love with yourself and celebrate you. Heck, take yourself to the movies! Get yourself flowers and treat yourself like royalty. I remember before I met my wife, sometimes I’d treat myself to a special date. I went to dinner and then to the movies alone. It’s not that I had no one who I could go with – I just chose to go solo. I just absolutely loved every moment of that time with myself. I had a great time and just enjoyed my company. That was such a thrill! So if you have no one special in your life, celebrate you and who you are and treat yourself special this day. You deserve it. Regardless of your present circumstance, enjoy your day today. Celebrate and embrace the gift of life. Happy Valentine’s Day! And may your Valentine’s dreams come true.